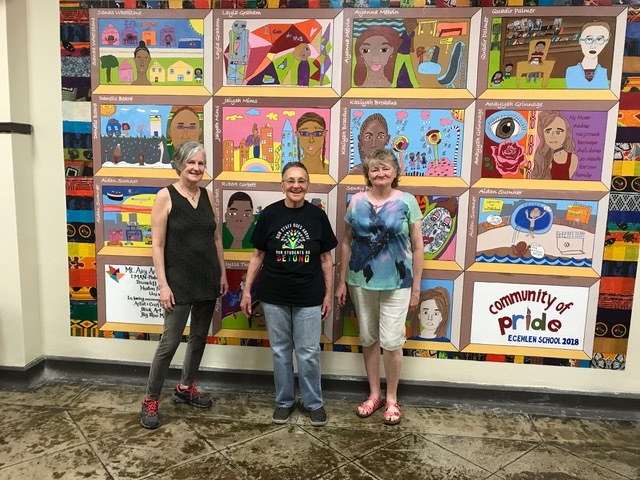 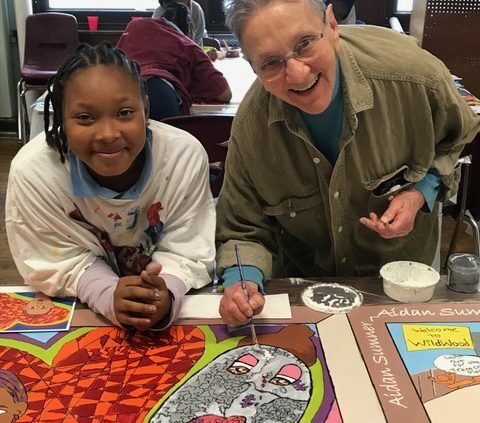 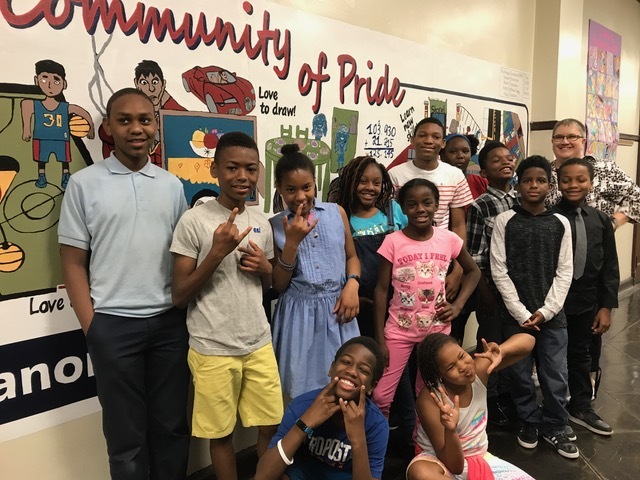 The Community of Pride (COP) Mural & Literacy Project is a community art program bringing together disadvantaged youth and a community of artists. 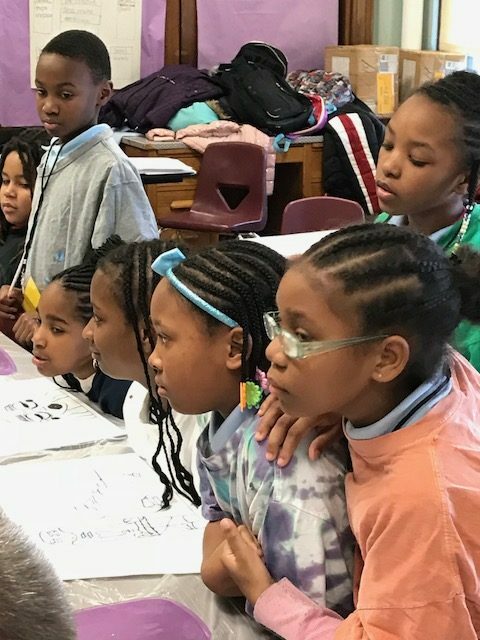 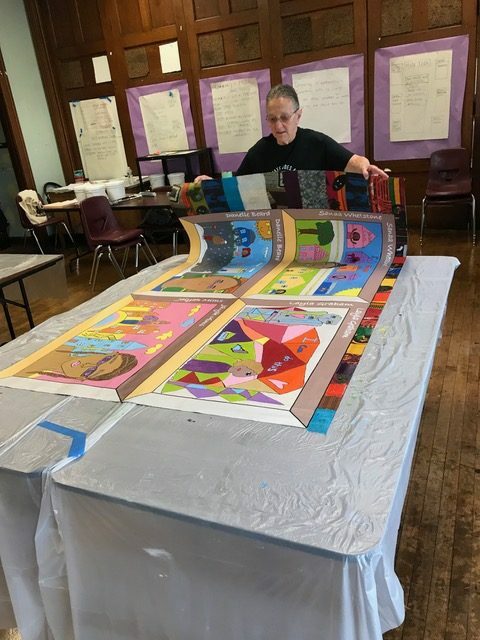 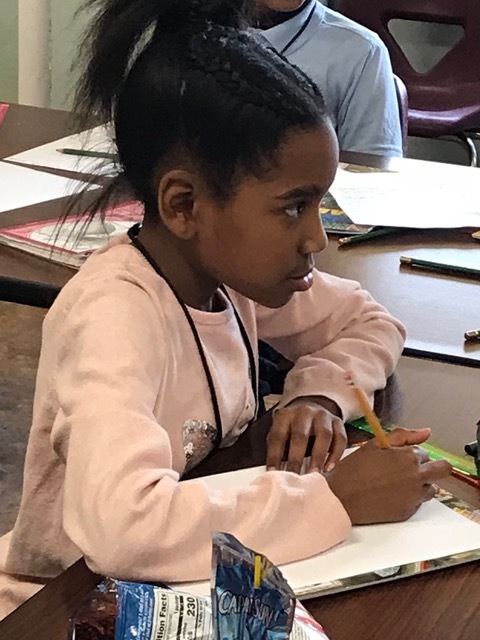 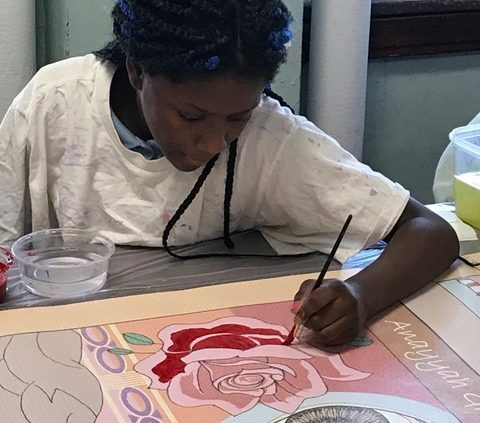 COP is focused on engaging children at Eleanor C. Emlen Elementary School in creating original drawings that will become a mural, envisioned and led with the help of professional Mt. 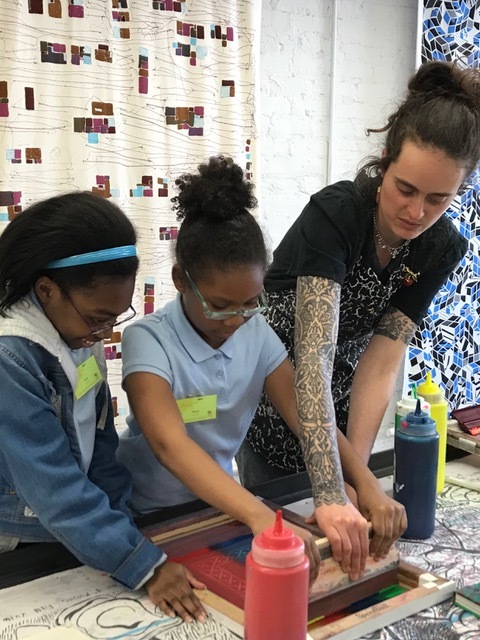 Airy Art Garage (MAAG) artist teacher teams, Emlen teachers, and members of the K-4 Literacy Initiative. 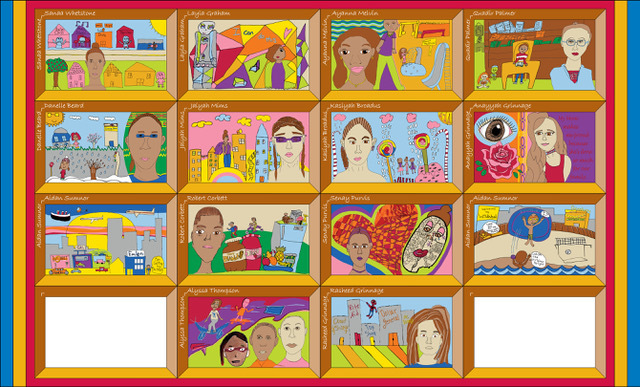 We are artists in residence at the school, creating the mural on site, and permanently mounting it at the school for everyone to appreciate. 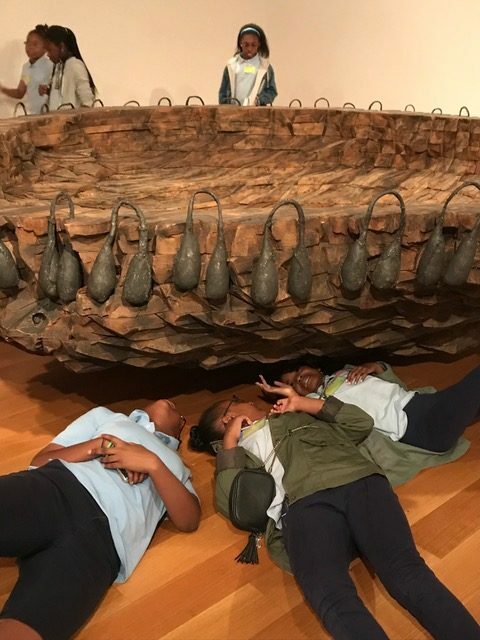 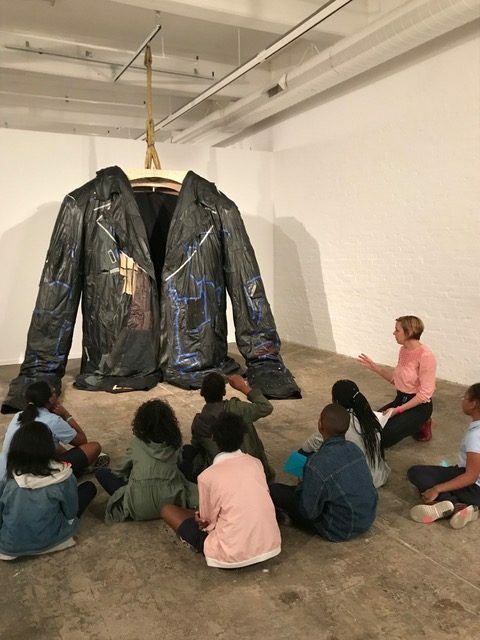 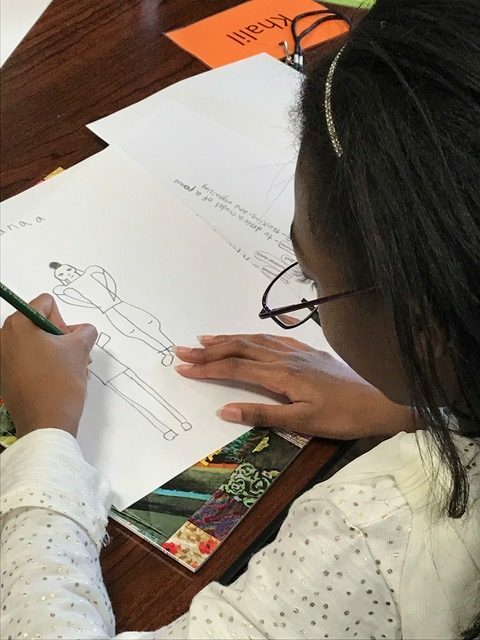 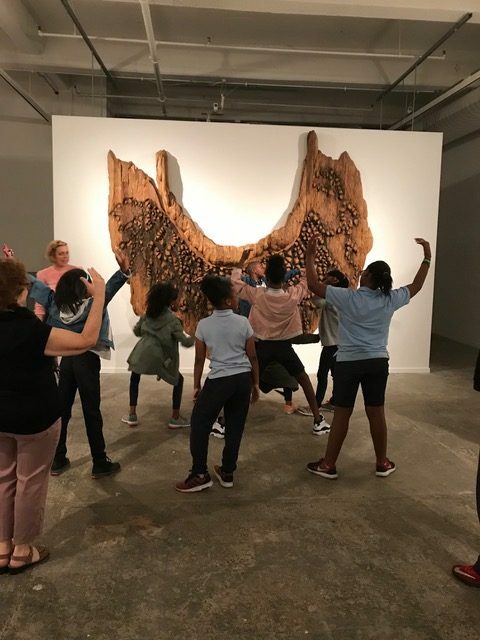 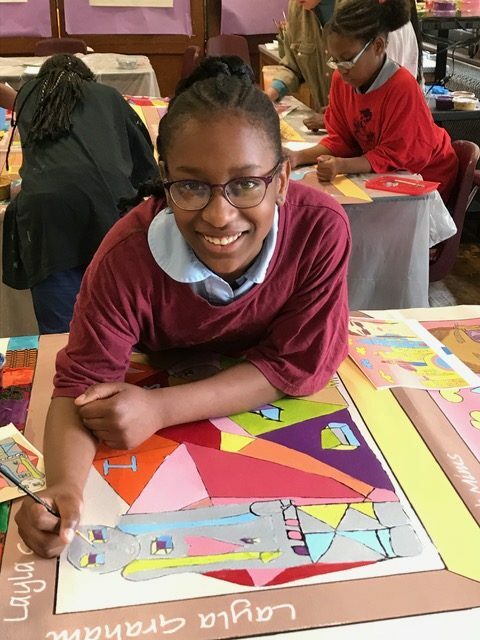 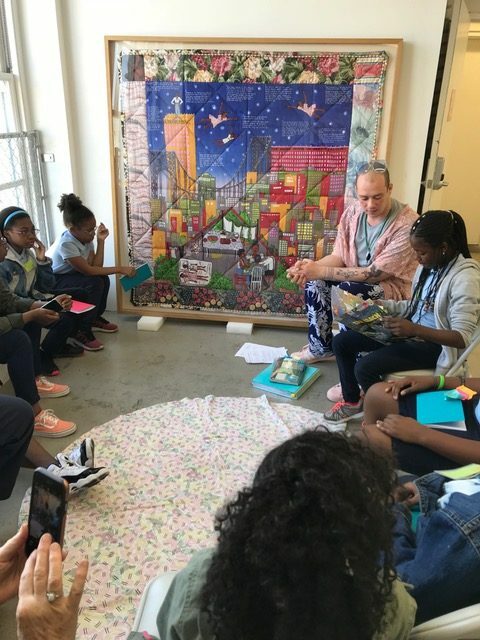 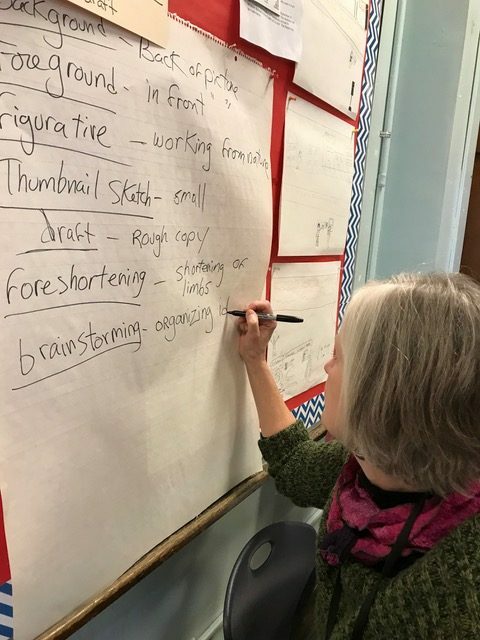 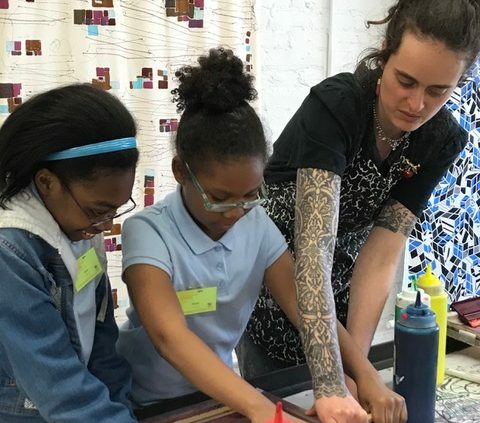 Students are engaged through a structured experiential, collaborative process that incorporates making art, critical thinking, vocabulary development, story telling, and interaction with teaching artists and visiting artists. 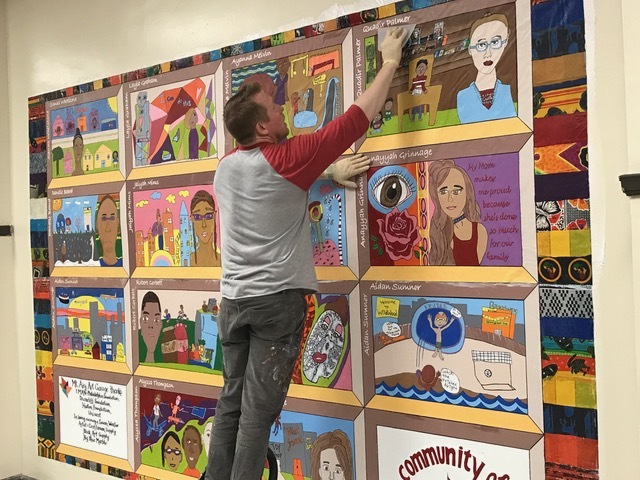 Part of the process of creating a mural about one’s community is to learn a bit of the local history, and children interview their parents and share the stories in class. 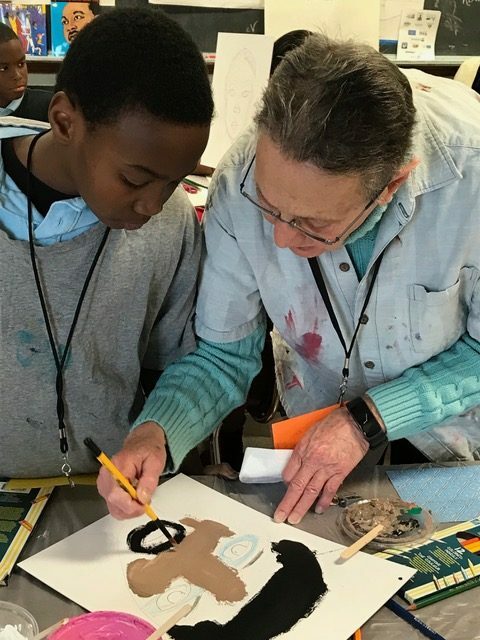 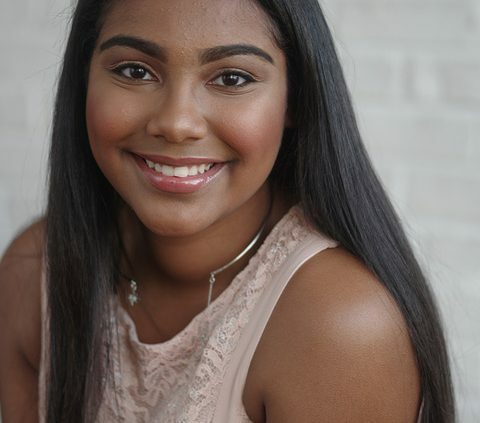 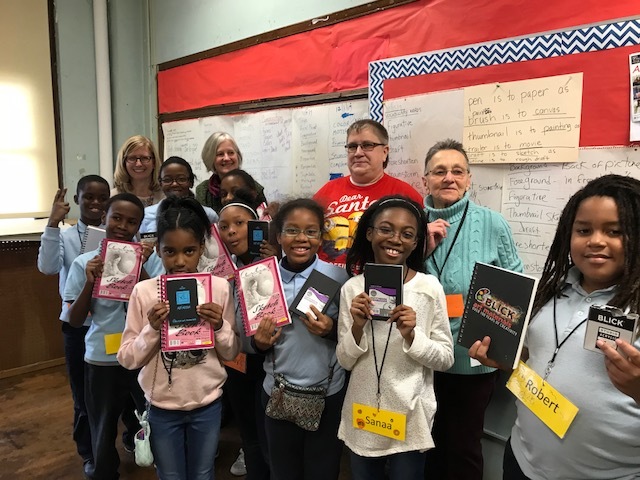 As they learn about their parents’ lives as children and how their neighborhood has changed over the generations, parents also become engaged through their children’s curiosity and excitement. 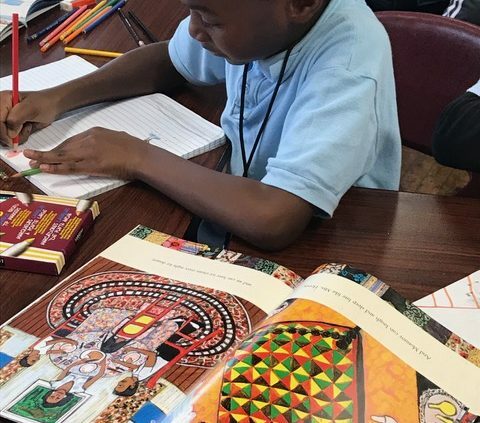 Learning opens doors that can never be closed. 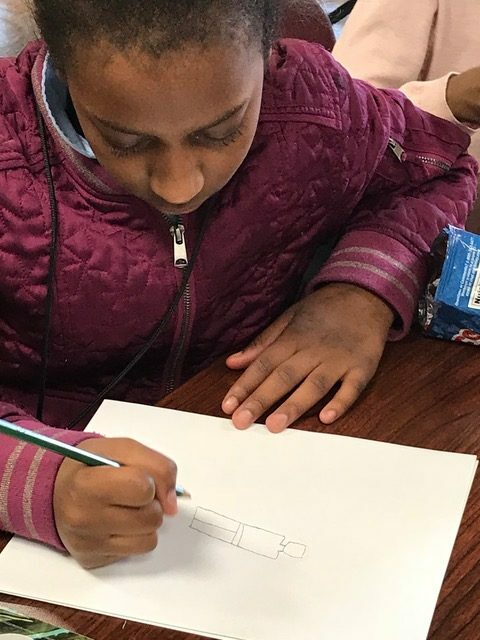 Help make this project even more successful by supporting us. 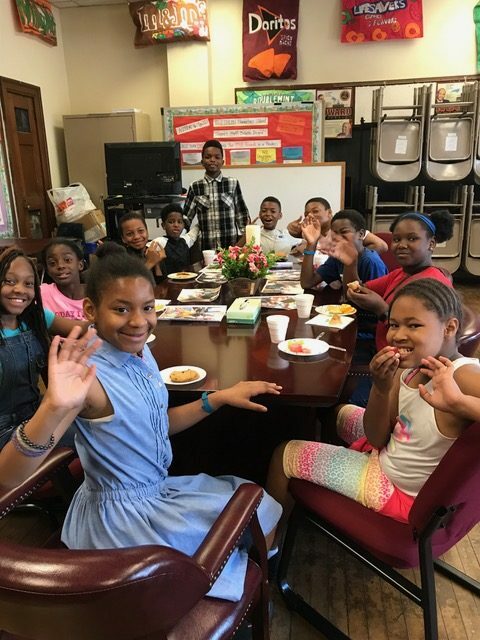 Your sponsorship means the world to these kids, to us, our neighbors, and the community. 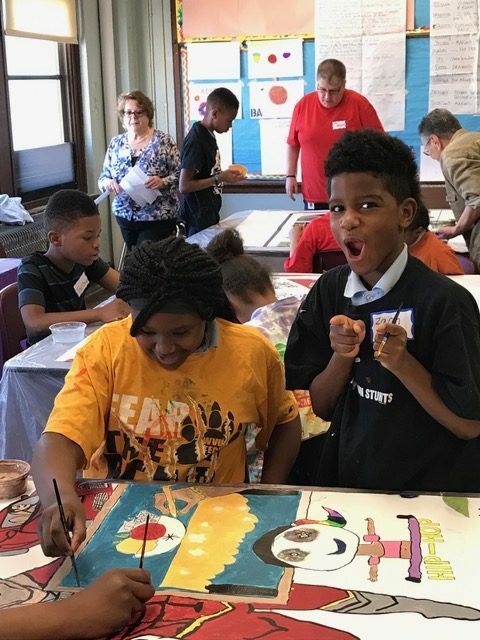 Be a part of making art happen. 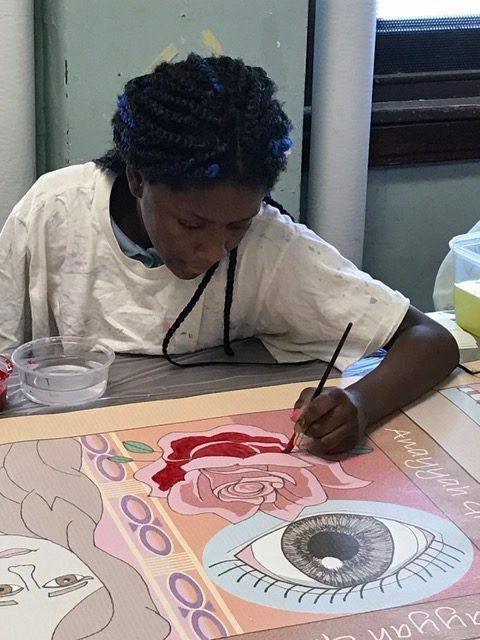 Help Paint The COP Mural At Emlen! 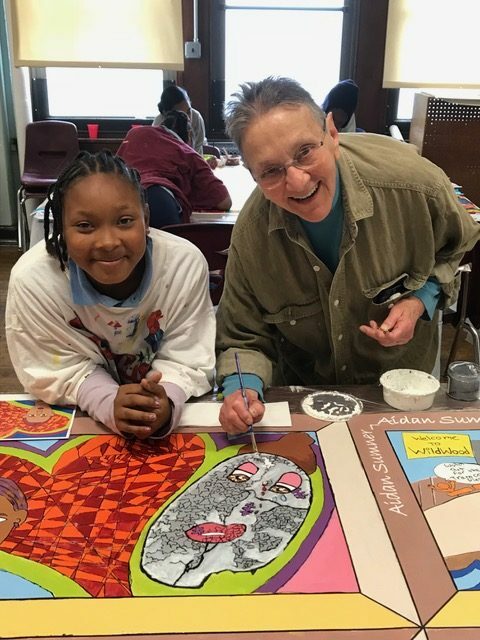 http://mtairyartgarage.org/wp-content/uploads/2018/04/IMG_1983WEBGOOD-e1524081969826.jpeg 640 480 Arleen http://mtairyartgarage.org/wp-content/uploads/2016/06/maag-in-action_main-1024x274.png Arleen2018-04-18 16:13:092019-01-30 14:18:26Help Paint The COP Mural At Emlen! 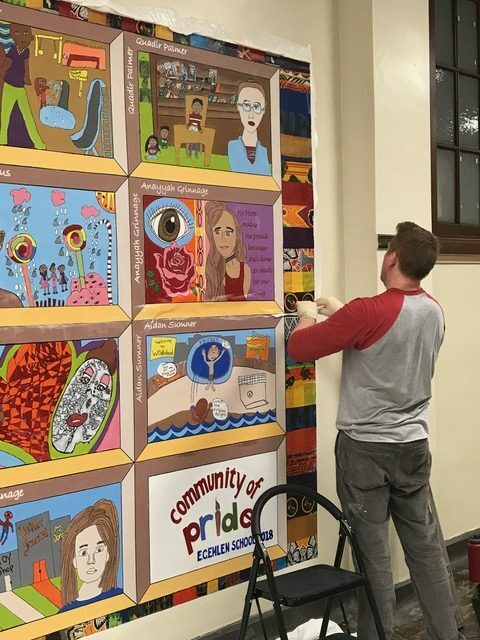 Community of Pride…Pictures Speak Louder Than Words! 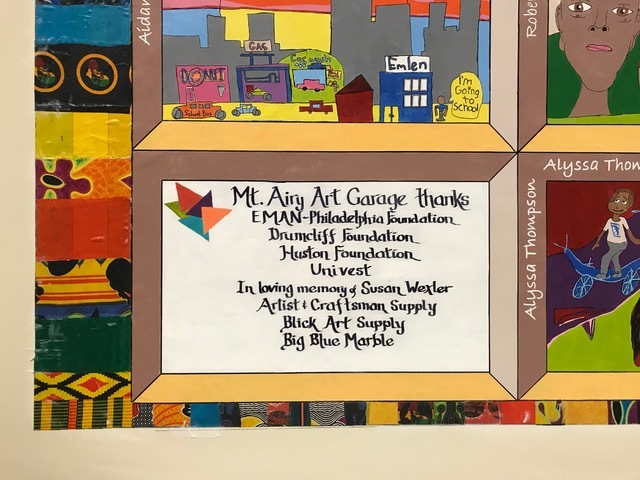 http://mtairyartgarage.org/wp-content/uploads/2017/12/IMG_1383web-e1512595370877.jpeg 640 480 Arleen http://mtairyartgarage.org/wp-content/uploads/2016/06/maag-in-action_main-1024x274.png Arleen2017-12-06 16:50:392019-01-30 14:19:51Community of Pride...Pictures Speak Louder Than Words!